Toufayan Gluten Free Wraps come in the 4 varieties including Original and three great tasting Gluten – Free wrap flavors including Savory Tomato ,Garden Vegetable , and Spinach. All 100% GLUTEN FREE. All 100% delicious. I am in LOVE with your Gluten Free Pita Chips!!! I have to drive 25 miles to get them as our local groceries don’t sell them. I also see that unlike the 2 flavors (Sea Salt and Chili Lime) that are available at the Wegmans (25 miles), your website shows several more. I sure wish that our local stores like Food Lion and Walmart carried these! We are also getting Publix within the next couple of months and would love to see them carry your products. My other wish is that you sold the GF Pitas as well. Thank you! Your Devoted 25 Mile Driving GF Pita Chip Fan in Beaverdam, Virginia!! We have a good relationship with Publix, so if they are coming to your area, it is very likely they will carry some of our products. Please ask your favorite grocer to carry our Gluten Free Pita Chips! Download a copy of our Gluten Free Product request form to make it easier for your store manager to order our gluten free products. Or ask them to visit our contact page. You can look for Toufayan Gluten Free Pita Chips online, try directeats.com or amazon.com. Let us know if you find it somewhere closer, if you get it online or if you have any questions. We’d love to share your experiences with other customers! Can you tell me what the recommended shelf life is for the GF wraps? And after opening the package? We recommend to grocers that our Gluten Free wraps should be coded for 30 days shelf life after defrost. If you refreeze the package, ensure there is a good seal for minimum condensation and you can keep frozen for up to three months. However, once defrosted, if the wraps were already defrosted once before, you won’t have another thirty days, and should try to consume them within a few days after the second freeze. Feel free to contact us with any other questions or post your experiences here! 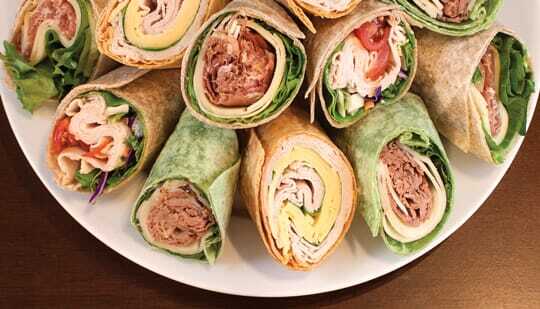 The gluten free wraps are great. It sure would be nice to see more of your products offered with a gluten free option.